Hello guys! So this here is longtime overdue and will serve as a collection for often asked questions. I'll concentrate it as one post and it will slowly fill up over the time. If you noticed some questions that get asked a lot feel free to help out and point it out to me here. I will then update the FAQ with it. 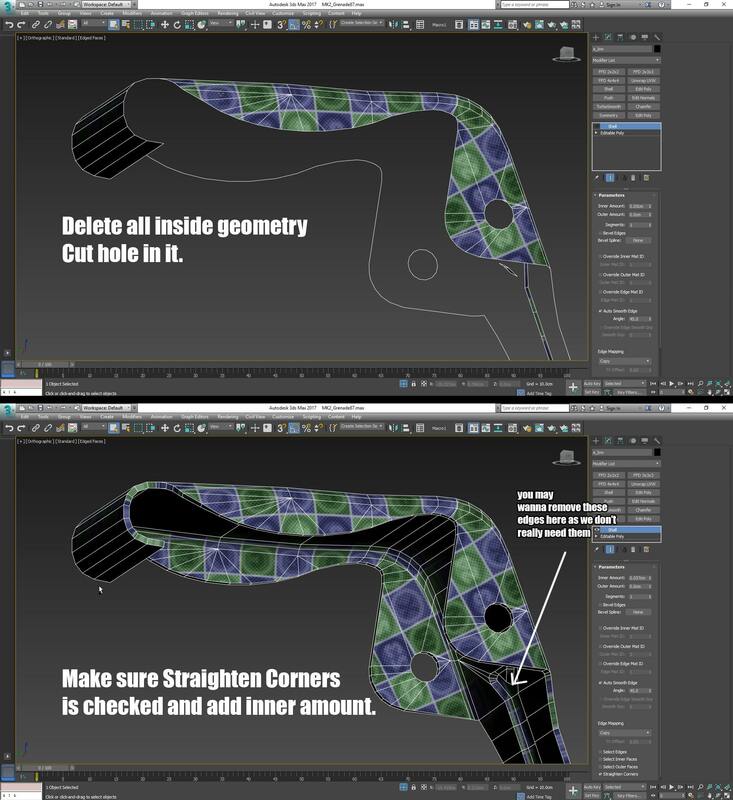 Question: why don't I see the floater geometry on my ID Map as it shows in the tutorial? This question also gets asked for the text on top of the grenade spoon. 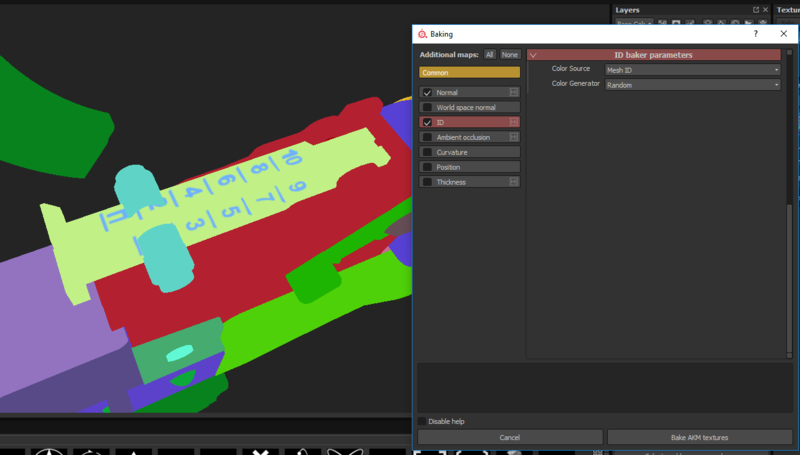 Answer: The settings for it changed within Substance Painter so you have to put it to this in order to see them. Question: I experience weird problems when cutting that hole into the "spoon" of the grenade. and trying to make edge connections afterwards. Answer: I also experienced some weird issues, sometimes Max does odd stuff that can not be explained in an easy way. However for anyone having issues there..
Do the following. Delete all geometry of the spoon so that you are only left with the "outer" side. Cut the hole, make the connections and add a shell modifier. That will solve all issues you may have had before. 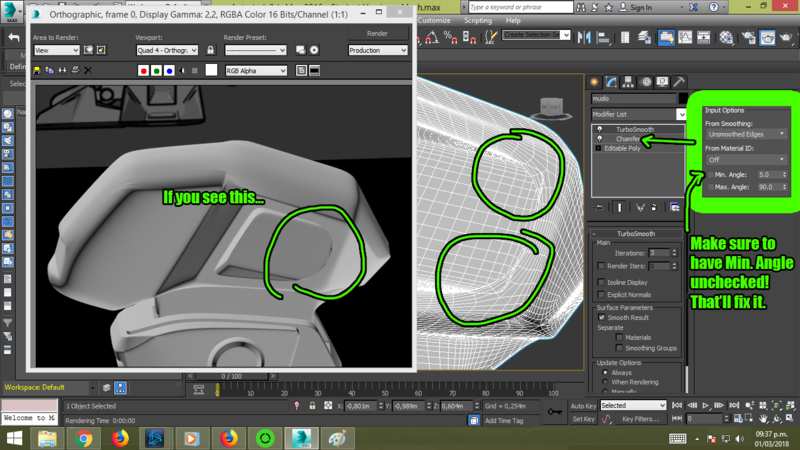 Question: Why do I get these weird overlapps when I use the chamfer modifier? Answer: I should have made that more clear in the tutorial that "Min Angle" needs to be unchecked. This is totally on me guys and I am sorry for not having mentioned it. Great to see the FAQ up in action! to use FBX for exporting EVERYTHING with tubrosmooth UNCHECKED in FBX export options. I haven't seen a compelling reason why OBJ should be used for anything. FBX is faster especially when it comes to highpoly and the colour ID issue pops up when there are multiple objects with the same name if you're using OBJ. Just make sure Turbosmooth is unchecked in the FBX export options. to use FBX for exporting highpoly and lowpoly.